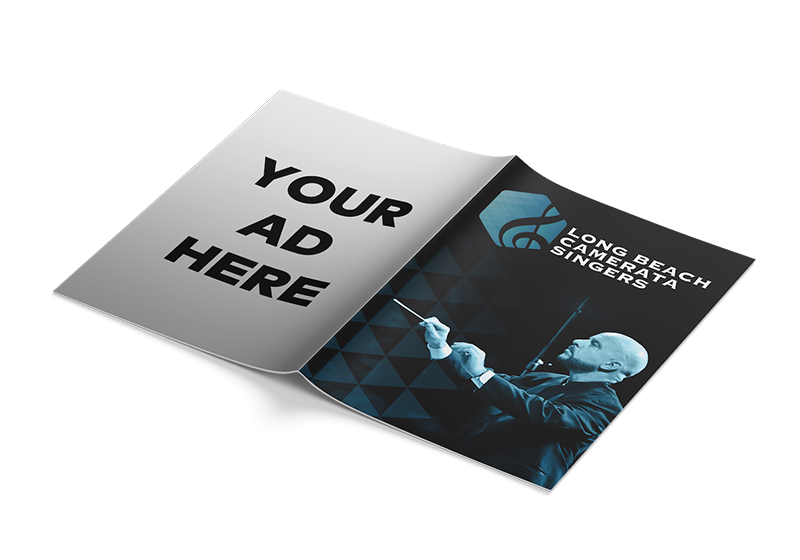 Support the local arts here in Long Beach – Send your message to our enthusiastic audience. Studies show that most concert goers read their programs from cover to cover, and often take it home as a keepsake of their experience. Our audience is local and culturally savvy. One price places your ad in four programs this season. 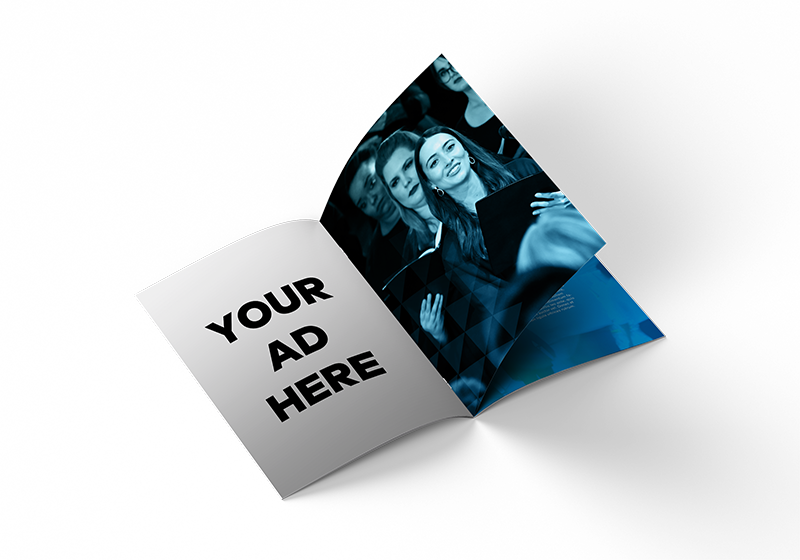 Your full-color ad will appear in four major concert programs, a full season of advertising. 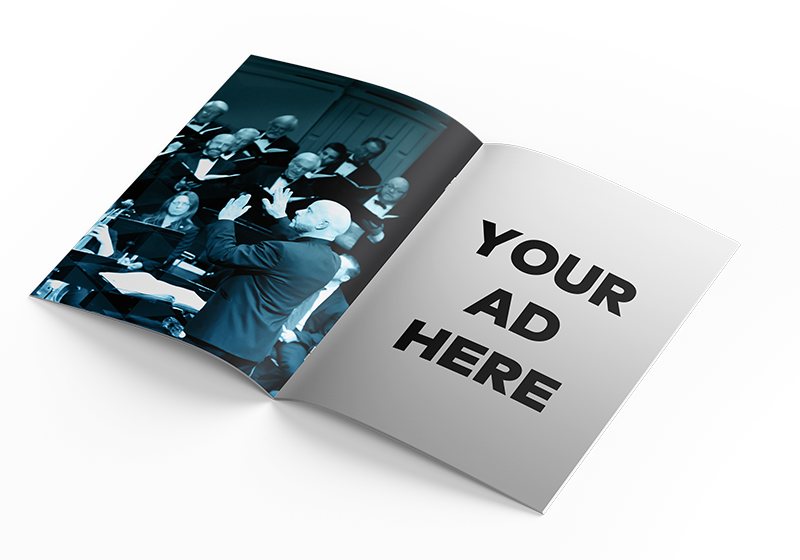 Our ad rates are competitive, starting at only $25 per concert. 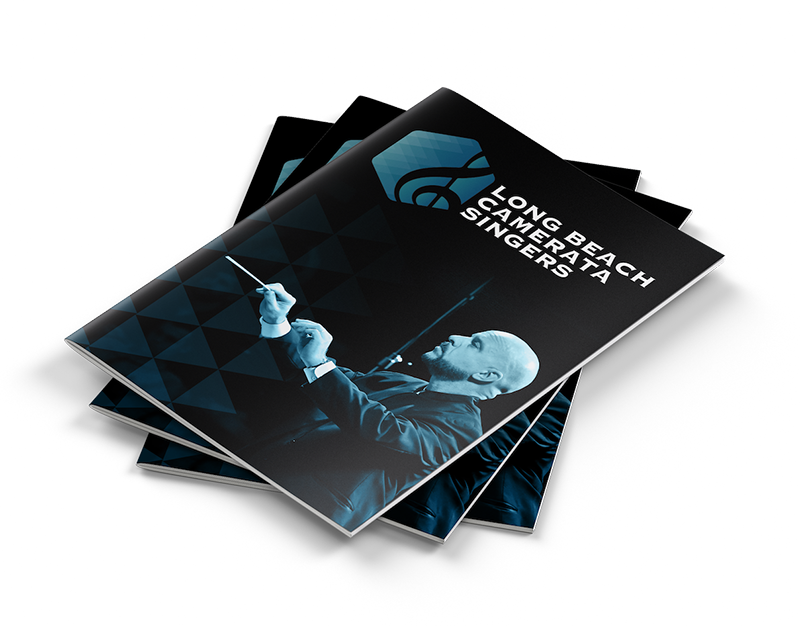 Long Beach Camerata Singers is a 501(c)3 non-profit, 80-voice professional choir that has provided Long Beach residents with high-quality choral music for more than 50 years. Our Tax ID Number is 95-3722448.